If you are commenting here, please include your post's link so that I can return the visit easily. I'd like to visit your site, if you don't mind! If you want to see where I've visited, click on A to Z Challenge in the tab at the top and it will take you to a padlet of links. If you want to see yours there, visit me. If you are doing the A to Z Challenge, I'll visit you and link to you. 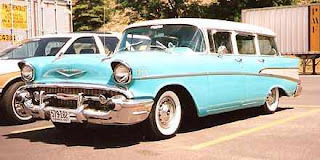 We had a station wagon - what? You don’t know what that is? To take kids for a whiz. You don’t know how that felt! Dad’s hand would sweep the deck! And end the parents’ smiles. For those who drove the loads. I have a picture somewhere of me and my four siblings perched on the fins of our 57 Chevy station wagon, looking pleased as punch - though in reality our faces were kind of scrunched up from looking directly into the sun. That's how you always had to face in those black and white photo ops back in the 50's. Found a station wagon that at least looked like ours! And the last of the A to Z Challenge! I made it! Xselnt! Yippee! Zowie! Here is a recap of all - Z to A! Please visit more if you get a chance! And that is it until NEXT year. We are making progress in our sorting and paring down and will be moving on Monday! There are piles of things to keep us organized... yard sale items, Goodwill things, give-aways for friends and family, some with question marks, lots for trash. But we did take about an hour off yesterday and went for a refreshing and invigorating motorcycle ride down to the beach, and then to the docks. It was a beautiful day for a ride! I'm sorry to see the end of April here already. It has been a fun month of poetry. 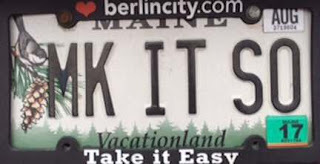 For those who asked or wondered, I took all the pictures of vanity plates, beginning at the end of last year's AtoZ Challenge. I have many pictures that didn't get put on the blog. Maine has a lot of vanity plates - and these were taken only in our local area in probably about a 50 miles radius! 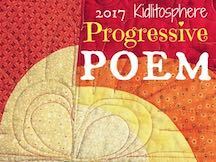 The Progressive Poem has reached its conclusion today! Let's see what the surprise ending is! Laura Purdie Salas at Writing the World for Kids is supplying the last line today! If you want to see where I've visited, click on A to Z Challenge in the tab at the top and it will take you to a padlet of links. If you want to see yours there, visit me. If you are doing the A to Z Challenge, I'll visit you and link you. And I must meditate on His Word. Only ONE more letter to go! We have one more day in the Progressive Poem. 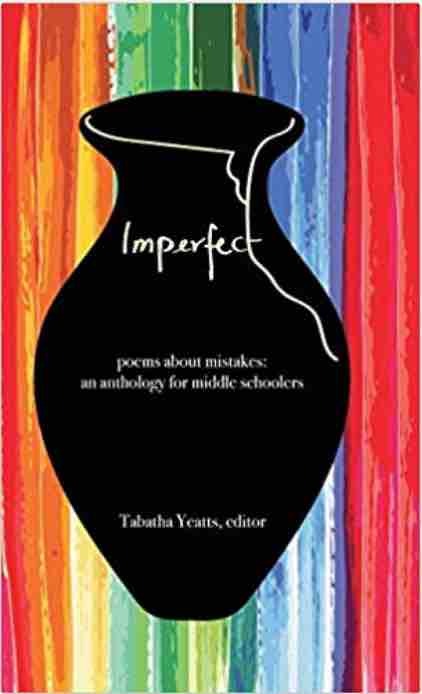 Check out what 30 poets have created - well, 29 today. The last day is Sunday, and the poem comes to a conclusion. We have been all over the stage with this one. Check out where Charles at Poetry Time has taken the poem today! We are moving by bits and pieces, out of the house and to our small home up the coast. Some things are in a pile for a yard sale, some for Goodwill, some for friends and family, some with question marks, lots for trash. This will feel good when it is done. Right now it is just exhausting! Still paring down and sorting, so I apologize for not getting around as much as I should! We are going from about 2000 sq. ft. to 900 sq. ft., and on top of that we have been married for - well, let's see... this September it will be 45 years. So we have plenty of stuff, even after the flooded basement and the soot damage from the fire 10 years ago. Ok. I'm on limited time. I'm going to try to finish the A to Z tonight and schedule the posts just to be safe. So I need to stop gabbing and get writing. Below are my "Maine Vanity Plate and a Poem" for X. Below that you will find my list of previous plates in case you missed them. Is it a noun or verb? For "to excellent" is absurd. a place we go, or thing. So what is left for it to be? I think I know it, "Ding!" Only two more plates to go! Collect the whole set! This Sunday is the last poem. In order to get 26 this year, we have to post on Sunday, April 30. I'll have mine scheduled to go, so check back for Y and Z! Yesterday I used the definition of "excellent", "wicked good" as mentioned in the poem. It is also Poetry Friday, and being hosted by JoAnn at Teaching Authors. Wicked good... a phrase often heard in Maine... means ultra good, the best, way cool! I’m a “not so fast” captor . It is day 20 of the A to Z Challenge. 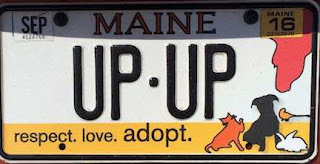 I'm moving through the alphabet using vanity plates from Maine that I've seen since last year's A to Z Challenge (except for one - used an older plate not written to yet). 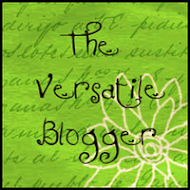 Here's your chance to expand your vocabulary as you visit some awesome bloggers. My A to Z tab above will take you to a list of my daily visits to the A to Z posters, if you are inclined to see the Padlet of places I've been. Or click here. Today is not an AtoZ day...it's Sunday. Let's see how our poem is coming along! 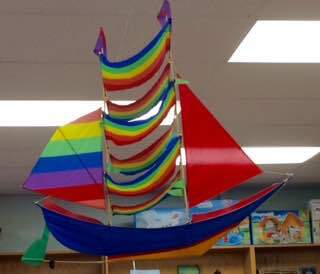 Last I knew we were on a ship, weighing anchor and sailing away! Here is an "EXTRA" vanity plate and poem today. 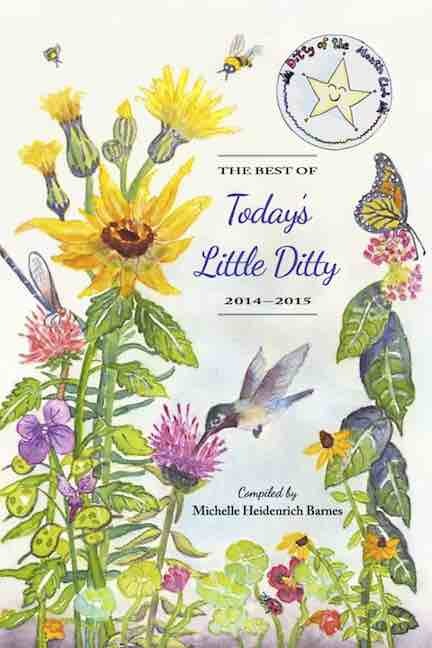 Though it is not an A to Z Challenge day, it is still National Poetry Month. I'm doing a poem a day for April, and there are seven more days to go! With well-grounded and faithful roots. It crashed upon the rug! So juice splashed on the floor! Then slipped out of his grip! They even had clean faces! Here are other S plates. I'd thought about trying to write a poem using all four plates, but then I wondered why I'd do that to myself when I have so much to do already. Shoot, why did I say that? I have a problem obviously. You do not have to read this one. I used all four - plus some - but I don't have a clue what it says or means - other than "I have a problem". I probably should have kept it in a sealed envelope or locked drawer (if I had one), and not put it here. But this is where I wrote it, so this is where it is. Today is Poetry Friday and it is a FULL post today, full to the brim! When you have finished here, there are wonderful blogs full of poems to visit. 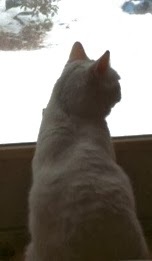 Visit Tabatha at The Opposite of Indifference where there are links to lots! along with my AtoZ below. 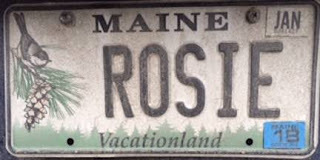 Scroll down to the license plate if you are here for AtoZ and/or if you want to skip this growing poem instigated by Irene Latham for National Poetry Month. You are here because you like writing and writers and stuff they write, right? So you should read it before you go on to the AtoZ Maine vanity plate and poem. One poet a day adds a line to the poem. In the side navigation you can see a list of line contributing poets. Today the poem was handed to me for the next line. But a couple of days before my line I was scribbling words and phrases thinking maybe, just maybe I could use some of what I'd thought about, and maybe by chance it would save me time and thinking when I would be under pressure. It didn't really work, but it was a good warn-up. When BJ supplied her line, "trip" was the connecting word I had used in some of my lines. Nope. Couldn't use "trip" for the "-ip" internal rhyme...but it did lead nicely into using "ship" which is definitely a good way to take a trip to escape the grip of Dragonworld! The navigation on the sidebar has all the poets with links to their sites. Then take a look here - for interest's sake, I found the poem to be easily broken down into 9 lines in each stanza, making it quite "prettily poetic"! See what you think of breaking it up thusly (not a good word, but fun). I just found this today, hanging in a bookstore! Isn't it gorgeous? Shiver me. Look who’s here. I deserve a second look! Dragonworld weaves webs that grip. Take it away, sail on Jone at Jone Ruch MacCulloch, the next line is YOURS! Oh, phew! Let's get this puzzle solved. Congratulations on making it to the bottom of this page! Tomorrow is S in the A to Z Challenge... I have a few vanity plates to select from... let's see. Notes about this challenge: The A to Z Challenge is to write to the letters of the alphabet in order, one a day each day in April, except on Sundays. To find more A to Z Challenge blog posts, click on any A to Z Challenge link I've made in this post. If you are commenting here, please include your post's link so that I can return the visit easily. I'd like to visit your site, if you don't mind! If you want to see where I've visited, click on the A to Z 2017 tab at the top and it will take you to a Padlet of links. If you are doing the A to Z Challenge, I'll visit you and link you on the Padlet. Spread the love of our alphabet around! See you tomorrow for the biggest day this month. I will have an R plate and poem. AND it is my day to supply and share my line of the Progressive Poem. I am not ready because you can't really be ready. Who knows what the line will be before you? Tomorrow I'll know and then we'll see what the brain comes up with to hand off to the next poet to continue on Saturday morning. 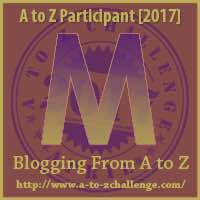 To find more A to Z Challenge blog posts, click on any A to Z Challenge link I've made in this post. If you want to see where I've visited, click on the A to Z 2017 tab at the top and it will take you to a Padlet of links. If you are doing the A to Z Challenge, I'll visit you and link you on the Padlet. Spread the love of our alphabet around! 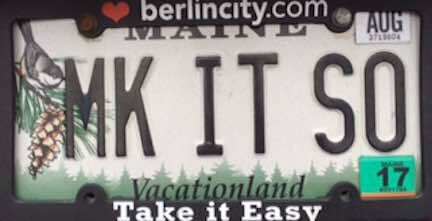 I saw this license a few years ago and thought it hilarious! It's on a van. I'm guessing a van full of kids. Cracked me up! Getting kids ready for anything - I remember getting all my snow gear on for playing outside - and in our family of four kids we didn't have snowpants - We wore layer upon layer of clothing to play outside. The layers helped to not get hurt when you were ice skating or sledding, as we were prone to do with two helpful brothers. At any rate, just when mom or dad were thinking "yay, they are ALL ready and we can shove them out the door and have quiet time!" someone would say, "I have to go to the bathroom". Remember the movie "The Christmas Story"? 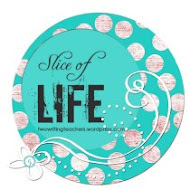 That WAS our life. The easier thing was getting us in the car then though. No seatbelts, no carseats, no boosters...just four kids loose in the back! So getting out to go to the bathroom was not as big a problem - however, as soon as one kid says it, we all had to go suddenly. And though the problem wasn't one of complicated seating arrangements in cars, there was the bigger problem of VERY FEW PUBLIC BATHROOMS. There were few Rest Stops, no fast food restaurants, no bathrooms accessible to the public really. We didn't WANT to go sometimes. But if we were making a pit stop for one, it was all or none! But really, usually the mere mention of the word "bathroom" was enough to make you decide maybe you should go. So PBE4UGO...Pee Before You Go brings up so many smiley memories! The ride would be quite far. Mom wielded map to lead. We jostled and we giggled. No need for something fancy. "There isn't any bathroom here..."
"Oh, find a place to stop!" Did some one bring the mop?" Q is tomorrow...this one is a bit of a fudge. I have only found one Q plate and I used it last year. But this one DOES have 2 Q's in it, so I think it counts. And I get to decide. Watching an oxen pulling contest is like watching baseball. If you like it, you really like it. There's nothing really fast going on, but the skill and the teamwork are amazing. The team masters are firm but kind to their animals. There is no abuse. You can't abuse a team member. An abused animal will not work for you. Don't mistake the goading and loud voices for abuse. The oxen respond to authority, and at no time do they get overworked or overburdened. They have trained and been well-conditioned to do this. The team master will quit the session if he feels an animal is at their limit. They know what their team is capable of, and they certainly don't want their team hurt or soured for this work. I enjoy a good oxen pull where the team is really together, pulling well together and the team master is able to keep them just calm enough as they hook on, but still excited and ready to pull as soon as they are given the command. I actually like watching this more than baseball (sorry, Dad). Once upon a time there were two oxen, Mt. Katahdin and Granger. 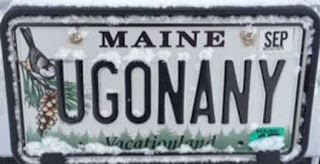 And they were born and raised in Maine. And they grew. And grew. You can check it out here. I did not know about these two huge oxen until doing a bit of research on oxen for this plate. We have oxen pulls at the fairs here, and when I was in elementary school I knew a kid who lived on a farm that used oxen, and he still pulls with a team now...or did a few years ago when I last saw the pulls. It often "runs in families" (as they mention in the video). Tomorrow P... I love this plate. Hope I can do it justice! I saw it a long time ago and loved it, then finally found it again this past year and got to get my picture! I don't even need to wonder what it is about. The plate says it all. See you then! Today's letter is N. Since last May I've been searching for new vanity plates, and this is the one I found to feature for this year. Do you suppose this is a needy person, or maybe a kneader of bread? I did not meet them, so I don't know. I get to make this stuff up. Whatever I want! Who need the sky town. To know where it’s been. To help them right back. Needs to hang round the sun. To have their needs met. This was an early morning writing. Had tried thinking about this earlier and started writing some words. Words. Words. And then the thought came. It is strange about writing. Sometimes it comes through so clearly when you least expect it. And sometimes you can't think until you start writing drivel. Some may still consider this drivel, but it rhymes at least. Ha! So read it and weep! Or read it and sleep! At least N for Needer is DONE! Tomorrow is O, and O Dear, I am not done... I think I'll try it now while I'm on a roll. Too bad tomorrow isn't O is for ORNGE - I'd be done. I could not help it. This has nothing to do with anything EXCEPT my need to get out in the sun and see if I could remember ANYTHING about riding a motorcycle. I took it out for a spin on Saturday when the weather was in the 60's! Snow is mostly melted and gone now, forsythias are trying their best to be yellow, but there's still gravel left on the roads from plowing and sanding, so I had to be careful as I enjoyed the ride. I only went a couple of miles to see how we (my bike and I) would do. We did just fine! For those who don't know it, I got my motorcycle license last summer. I have a 400cc Bergman scooter that I thought would help me learn, and a 250cc Virago that did help me learn. 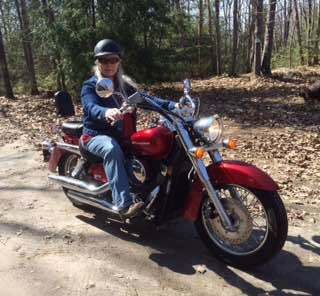 Then I immediately went to the Honda Shadow 750 when I got my license at age 66. It was never something I planned to do. I wanted to be a passenger again after losing weight - like in the old days. 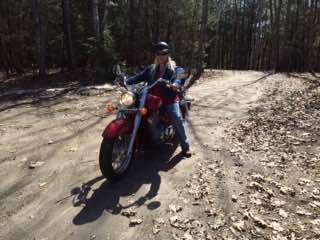 But I didn't like being a passenger on the Harley Sportster my husband got. So with coercion from my son and husband, I decided to at least take the class. And there you have it. Short story. I could go into the longer version that tells about taking the required two day course with all the 18-30 year old men. But you can imagine. Yes, I'll let you do that. I love the mystery of His second coming. And I love the mystery of His timing in our lives. I have more than once been taken aback by the "coincidences" in my life that have occurred because of some timing issues. I guess I will not know until I'm supposed to know... anything. Isn't that just the way it always is? If you want to see where I've visited, click on A to Z Challenge in the tab at the top or here (AtoZ 2017) and it will take you to a padlet of links. If you want to see yours there, visit me. If you are doing the A to Z Challenge, I'll visit you and link you. You could swim deep with a fish? Eat a whole birthday cake? Or horns and other things? Shrink as tiny as a flea? In your cardboard rocket ship? And rescue those in need? Try to read a person's thoughts? See a fairy, maybe lots? Then teach it how to talk? So most of this stuff makes up my childhood. I left out the things that didn't rhyme. There were lots of those. Things like making the big rock into a ship, pine needles into the ocean, my blankets into mountains, the livingroom floor into the deep sea and the furniture into islands. I'm sure my mom was pleased to see us jumping from one island to another on rainy days. We didn't sit and watch tv. There was nothing on in the first place, at least not in the 50's in Maine anyway. You had to turn your imagination on full force. And we did. Today is Poetry Friday...oh, my, goodness! I totally and unbelievably forgot! I have had daughter, grandson and grand daughter here for a visit this week. They left last night on their long ride back home to get daddy hugs and kisses! Glad I thought "time to check in on the Progressive Poem"! I came across today's added 14th line of the poem at Jan's Bookseed Studio, and her reference to Poetry Friday! Days run together when you are having retirement fun! When you are finished here, head on over to the rest of the poem offerings at Dori at Dori Reads. Tomorrow a plate of M and a side of poem. See you then!